Mother knows best | It Comes In Pints? Sometimes it’s hard to control your inner green-eyed monster. As I scrolled through yet another picture of a bronzed, sunglasses-wearing Liz on Facebook, I tried to suppress my envy. Whilst she was enjoying an amazing three weeks in India, I was stuck in a gloomy office all week and still having to put my electric blanket on before bed (yes, all right, I have an electric blanket). But salvation arrived in the form of an invitation from Nigel Owen, owner of the Best Pub in London, The Queen’s Head. 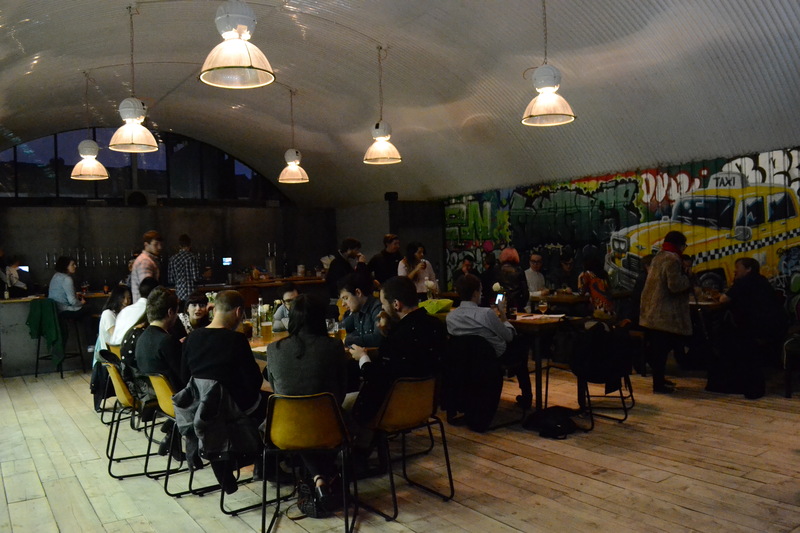 His latest venture, Mother’s Kelly’s Bottle Shop and Tap Room, opened last week in Bethnal Green, and he wondered if ICIP would like to pop over to check it out. As if this wasn’t tempting enough, there would be a tap takeover by the Dutch Brouwerij de Molen that night. I thought about Liz in the land of Tiger, Cobra and Kingfisher. And my jealousy disappeared. 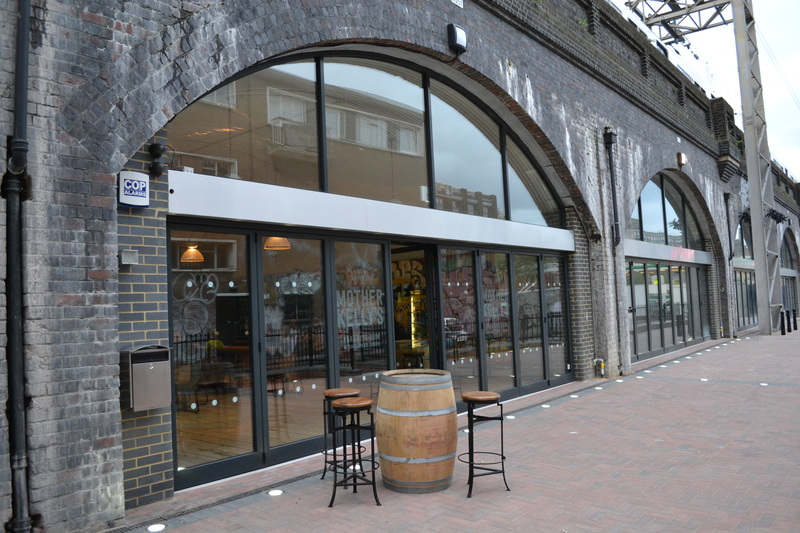 Tucked under a railway arch on Paradise Row, Mother Kelly’s is literally two minutes walk from Bethnal Green tube station. While this is a great location, it isn’t an area associated with the London Beer Boom quite as much as say Angel or Hackney. So why Bethnal Green? 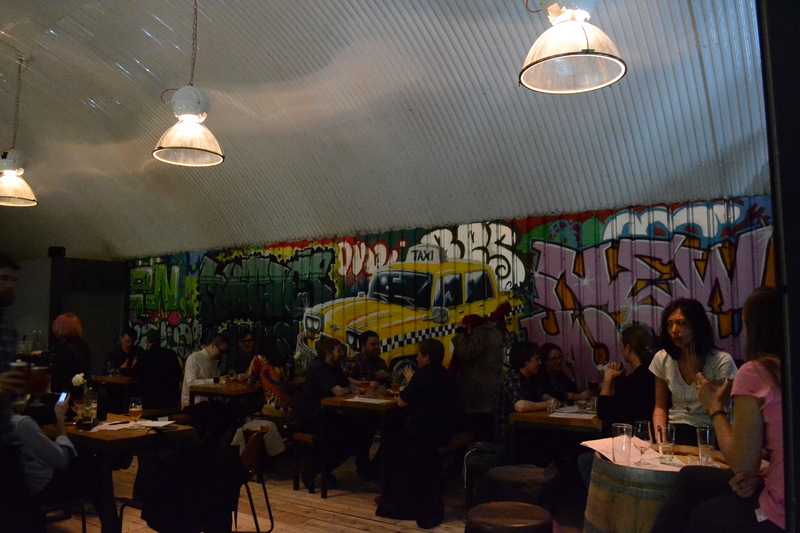 With the rounded ceiling of the railway arch and custom-made, long communal tables, the bar has a beer-hall vibe whilst still retaining the modern, trendy feel we would expect in east London. There’s an almost industrial element – floorboards made of scaffold planks, walls lined with corrugated metal, light fixtures scavenged from a textile warehouse – as well as smart, quirky touches, like the beer tap washbasins in the toilets. The bar’s glass frontage can fold back to open out onto the expansive patio, which will be great in the summer, but on this chilly April evening the barrel-ceiling and low-level lighting feels cosy and welcoming. The bar’s name, taken from the song “On Mother Kelly’s Doorstep” about a money lender living on Paradise Row, pays homage to its London heritage, but that’s not the only influence at play here. We notice that one wall is dominated by a large graffiti mural featuring a yellow New York taxi cab. I am immediately regretting not bringing a few shopping bags with me as I try and force a couple of clanking bottles of Wild Beer Co and Magic Rock into my handbag, and think I must have misheard Nigel when he says: “we’re not quite there with the range I’d like as of yet, but we getting there. We just want to stock the best beer that we can.” If there’s going to be even more choice in future, I may need to borrow a crate. 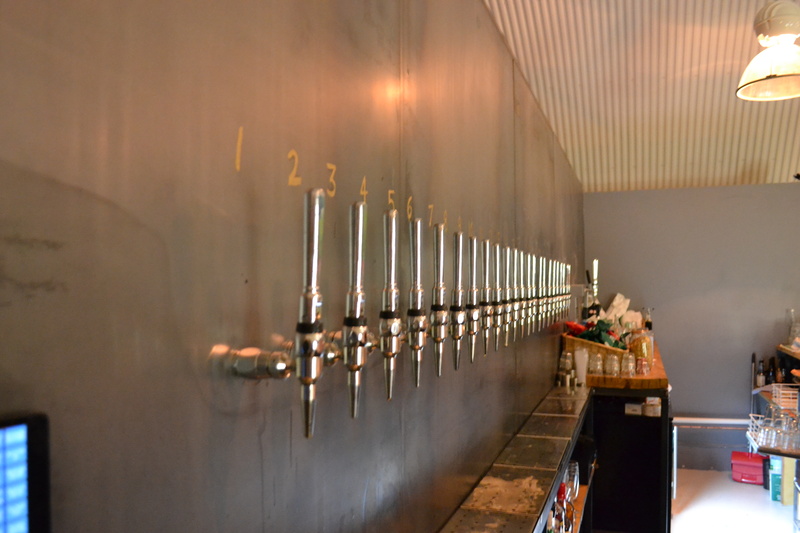 As if the imposing selection in the fridges wasn’t enough, there are no less than 23 numbered taps behind the bar. While four of these are reserved for wines and cider, that’s 19 different beers to choose from at any one time. 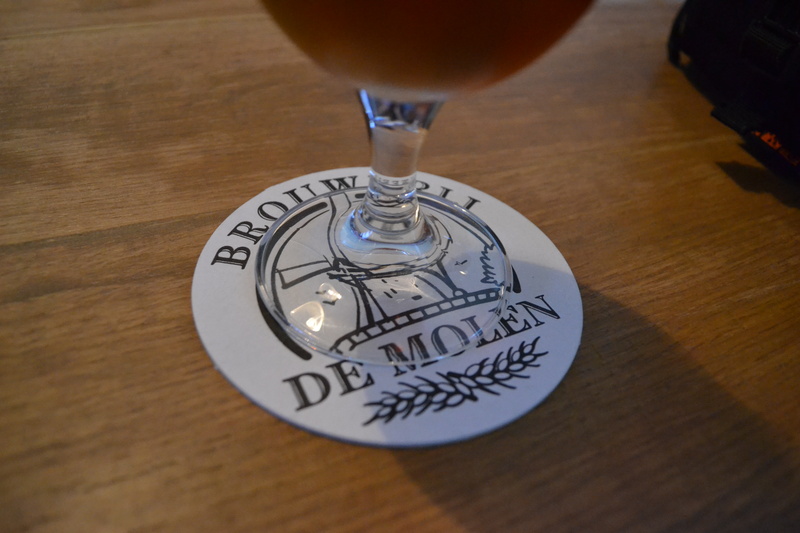 At the time of our visit, seven taps were dedicated to the Brouwerij de Molen tap takeover. “We’ve stocked some de Molen at The Queens Head before and I’ve always thought that it was great beer that you don’t see much. So we thought it would be a good thing to kick off with,” says Nigel. With no pump clips, you select your beer by checking the menu and tasting notes and picking your number. After making our selections, Nigel has to double-check the list. “Number three and number seven… I feel like I’m working in a Chinese restaurant,” he laughs. We start, appropriately enough, with Amerikaans, a 4.5% amber bitter taking a traditional English style and giving it a twist with American hops, mirroring Mother Kelly’s transatlantic influences. The citrussy Amarillo hops really lift the caramel, biscuity flavour you expect from a bitter, making it a refreshingly unusual brew. Next we try Vuur & Vlam, a 6.5% IPA packing a quadruple whammy of Chinook, Cascade, Simcoe and Amarillo (and then late hopped with extra Cascade). There were definite pine and grassy notes amongst the inevitable citrus in the aroma and it had a crisp finish despite the bitterness. This was the beer of Liz’s dreams; I finally felt that my jealousy had totally evaporated. Taking a leap up the scale, we give Bommen & Granaten a shot. At 15.2%, this barley wine packs a serious punch. With a sweet dried fruit and caramel aroma the boozy, rum and raisin flavours complement the rich, sweet maltiness. Bloody lovely. We’re impressed with our first experience of Brouwerij de Molen. 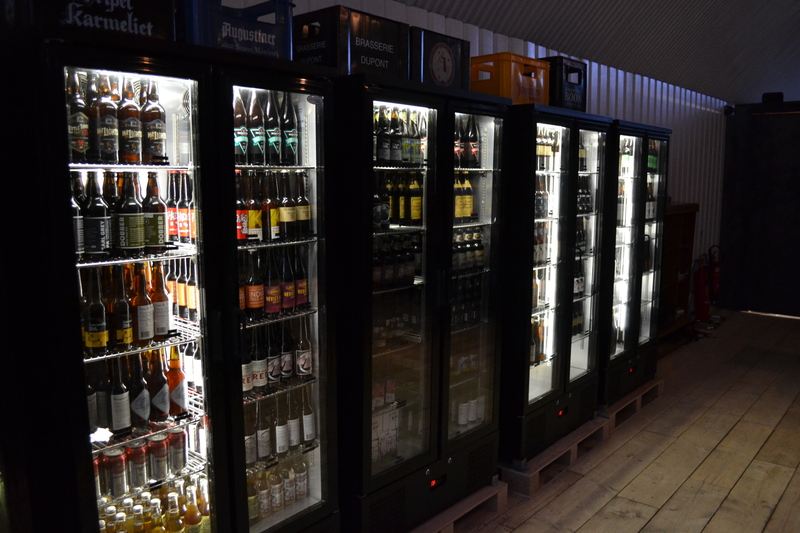 But there’s still twelve other taps tempting us with offerings from the likes of Siren, Otley, Kernel and Brooklyn, as well as those enormous fridges. In the end we settle on an incredible Siren Calypso Amarillo Sour and a bottle of Pressure Drop Pale Fire. As darkness falls outside on Paradise Row, the bar is still busy, despite being open just four days. “We haven’t really advertised, although we’ve chatted to our neighbours and we’ve had some guys from Beavertown and Duke’s in – word is getting out,” Nigel says. With upcoming plans for brewing his own beer, festivals, more tap takeovers and an even greater range of beer available, Nigel is going to be kept very busy over the coming months, but his ultimate goal is clear: “We just plan to work very hard at stocking great beer,” he says. We hate to leave, but at least we have bottles to take home… if we can resist them on the train journey. 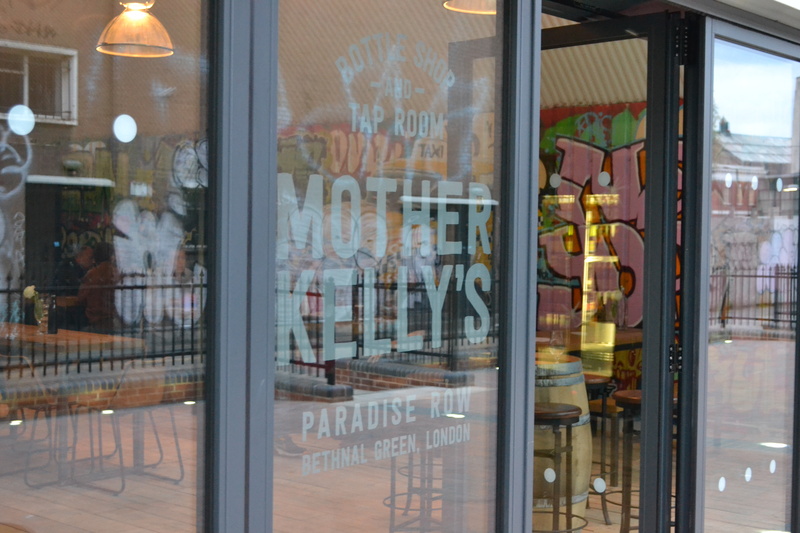 You can find Mother Kelly’s at 251 Paradise Row, Bethnal Green, E2 9LE. Want more? Check out our trip to The Queen’s Head to discuss their microbrewery (shortly to be revived!). This entry was posted in Reviews on 20/04/2014 by icipints.